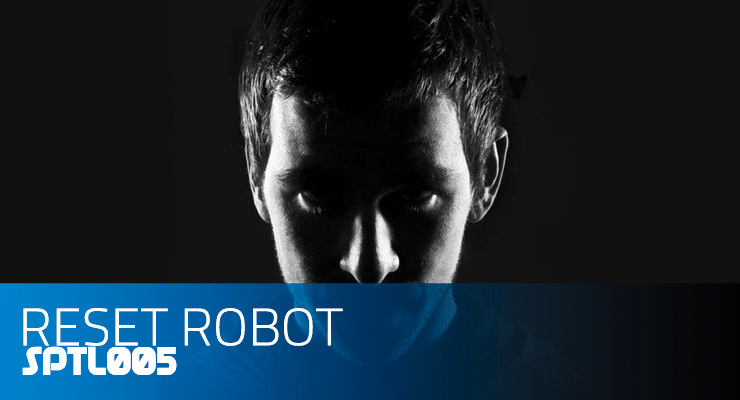 Reset Robot is a relatively new name that will be increasingly familiar to fans of dubbed-out and moody tech house all over the world. Having released a series of well-received tracks on key labels including Excentric Muzik, 8 Sided Dice, Sound Of Acapulco and Noir already in 2009, Reset Robot recently made a debut on Dubfire's Sci+Tec Digital Audio imprint to crown what has been an amazing start his career.There is more to come too with a follow up EP on Sci+Tec, releases to come on 100% Pure, Tronic, Sprout and Suara and the launch of Reset Robot's label, Roomba Music. The race to snap up these impressive tracks was now on. Never one to miss an opportunity to embrace fresh talent, Dubfire boldly signed a staggering five tracks to his Sci+Tec label including the awesome Pig Nose, which leads the first of two EP's to be released on the tastemaker label in 2009. Elsewhere leading techno labels Excentric Muzik (Softie) and 8 Sided Dice (Continue) both made sure they were in from the start and were justifiably rewarded with several weeks in the upper reaches of Beatport's techno chart while upfront cuts appear on compilations from Global Underground (Nic Fanciulli) and Cocoon (Dubfire).